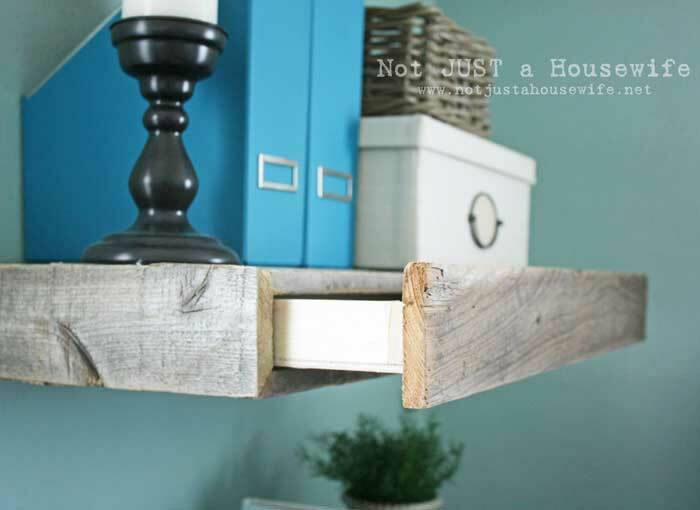 DIY floating shelves are easier to make then what you might think. With open shelving becoming more of a trend, especially in kitchens, the floating style offers the most versatility. The simplistic or minimalist look is perfect in modern rustic decorating. Even though floating shelves are simple, there are still plenty of different ways to style them. 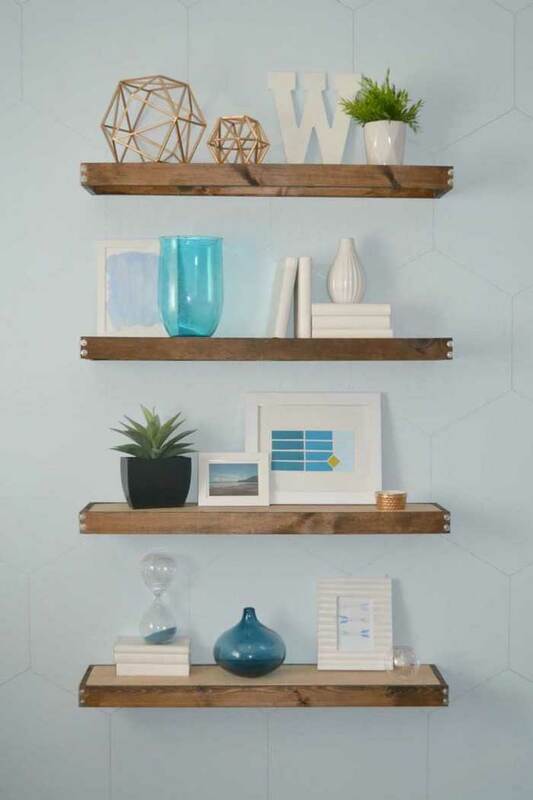 Check out this collection of DIY floating shelves for inspiration. There are so many unique shelving ideas that you can put together for your home. 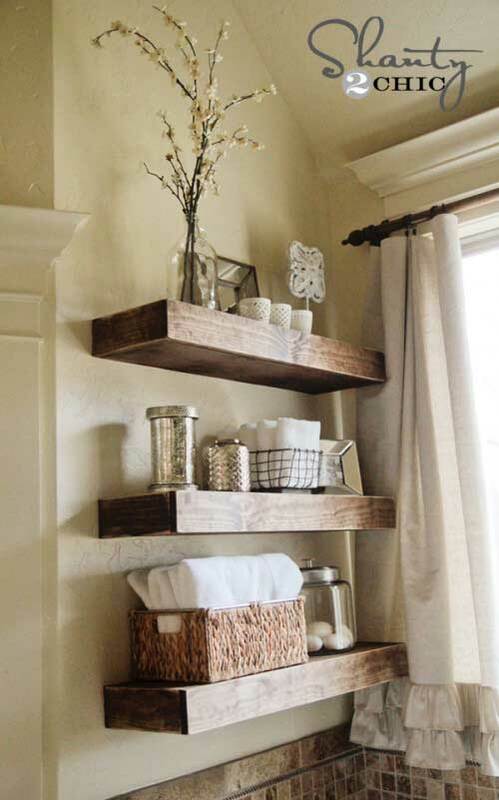 However, floating shelves offer the most modern rustic and cleanest design. Thick wood shelves are a great rustic element in any room, especially with distressing. Because the frame is attached to wall studs, the shelving is super secure. The tutorial for this project is very detailed and easy to understand. These beautiful shelves took the place of cabinets in this kitchen. 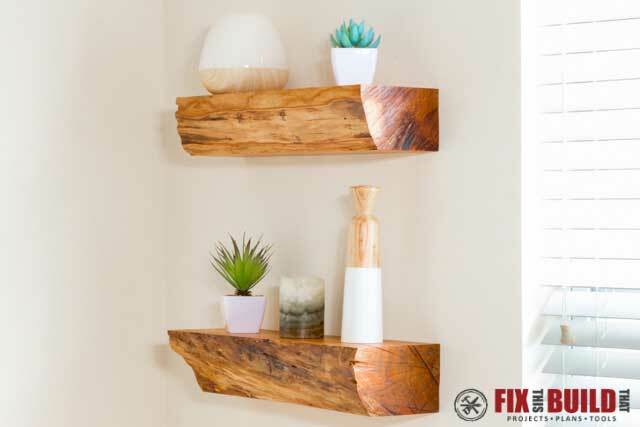 These DIY floating shelves use internal brackets used especially for floating shelves. You have to drill holes in the back of the shelf to insert what looks like a metal dowel. Since the brackets get attached to the wall first, you want to make sure that your holes line up when you slide the wood onto the brackets. This is a great way to hang a thinner wood shelf for a super clean look. 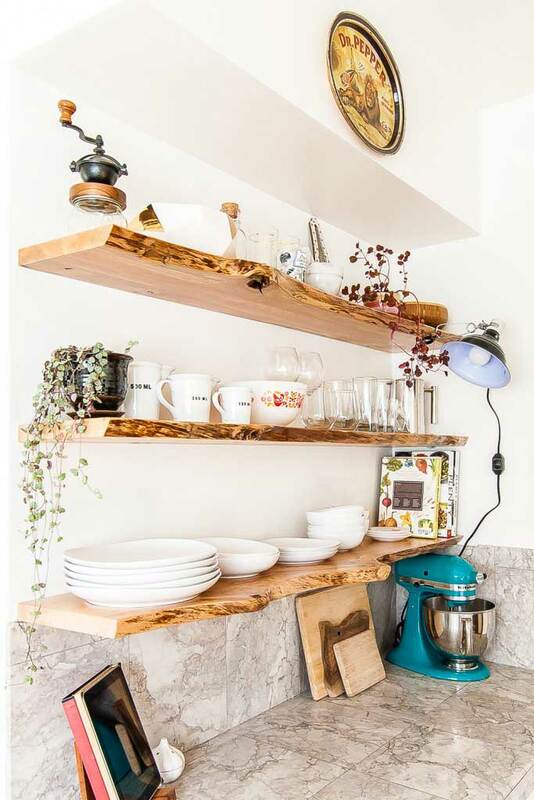 These floating shelves are made with the same concept as the live edge shelves. However, instead of thin wood, this chunky style was made from firewood. This shelf is similar to the first beefy shelves with the frame attached to the wall. However, this design has a special surprise in that you get extra storage from a secret drawer. This is a fantastic concept and makes full use of the space and design. 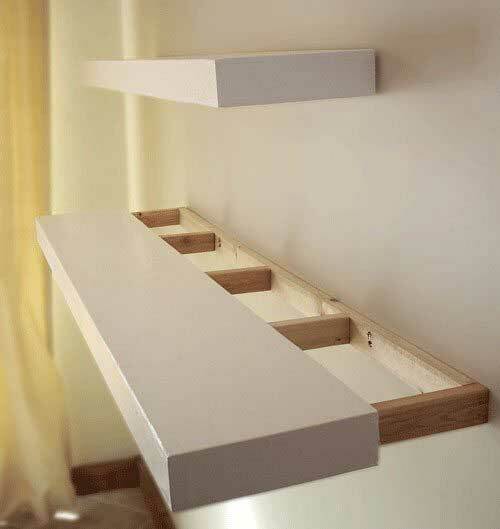 The beefy floating shelf idea is the most popular design. However, this project uses a little different technique for anchoring the shelves. A frame is built and attached to the wall and then the pallet box shelf is slid over the frame. These pallets were sanded smooth but you could leave them more natural for a rustic look. I love everything that you can do with pallet wood! To give your beefy shelves a unique rustic look, add some fun detail. By using two colors of stain you get a visual appealing contrast. Also, the addition of industrial bolts adds a nice decorative touch.